Final Destinationette by Nezha the Scout with credit to Subs, Electropolitan, MarioDox, David V Kimballs, Craptain, Wariotails, the US congress, Worse Doughnuts, Sooperpool, Akira Toriama, Scout, Nezha, that guy in twitter, my mom, DELL Aspiron Laptop, Elliot, Bagaaaa, Carters, Xen, Shy, Uberguffin, Nanobads, Sub and Zug. This stage is to complicated to explain just by words, click the thumbnail for the video! Check the read me's too! This stage is the result of me experimenting on how Spear Pillar works mechanically and functions, this is not based on anything but just pure custom ideas. Replaces Dialga version, add all the files given here so the stage works. Porting it onto other slots disables SFX, keeping it on a spear pillar slot keeps the SFX. It also has an optional BRSTM zip with stuff donated from Electropolitan and others (credited in zip as well). This was submitted for a custom brawl mod server's Halloween contest too! So hey two birds with one stone. Report me if you find any oddities! Has two versions, preview card links to video. Updated! Fixed some looping issues. Read the txt files for details! Casual Alt is in the works! Wario Ware 1-1 of Nezha's Tower of Heaven stage. Updated 7/9/18: Lowered filesize and fix jitter on background. For the modding workshop summer contest. Uses Jungle Japes as base. Sonic is the best character. I quit Brawl Modding so dont get any ideas, just uploading my finished and near finished stuff. Has Read Me with info. Preview links to album, bg is very animated. Two versions of the stage are included. 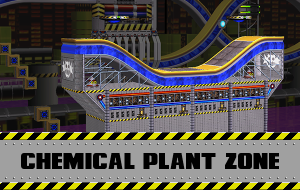 The one from v1.0 remains but with some minor texture edits, and a new one was added that has alternate textures inspired by Encore Mode from Sonic Mania Plus. The latter also has a different layout that makes use of shifting blocks from the background. Page created in 0.237 seconds with 137 queries.